Or maybe there’s an older fully automatic weapon from one of your favorite video games that you’ve always wanted to get your hands on. Simply put, if you’ve ever wondered where on earth you can shoot a machine gun in a safe and secure setting, then there’s only one place you can turn: The Machine Gun Nest. Our indoor shooting range in Frederick offers fully automatic machine gun rentals — yes, you read that right — for those who are 21 years of age or older. From an AK-47 to an UZI, we have several machine guns that are available for rent. You can get your hands on a once-in-a-lifetime opportunity and check this item off your bucket list, with rates as low as $60 per hour. Sound like a good time? We thought so. Come on down to our indoor shooting range to get started. Here is some background on a few of the machine gun rentals we offer. One of the most popular machine guns in movies and video games is the AK-47. Originally developed in the Soviet Union, the AK-47 made its debut in 1946 and remains one of the most popular assault rifles in the world among many different armed forces. The Machine Gun Nest is the only place where you can rent an AK-47 to see for yourself what it’s all about. For $70 per hour, plus $15 per mag, up to two shooters can rent out this classic at our indoor shooting range. Another fully automatic light machine gun developed in the Soviet Union, the RPD is fired from an open-bolt design. Ammo is fed in through a belt, which is different from the magazine cartridge style of the AK-47. For as little as $150, plus $40 per belt of ammo, you can see what all the hype is about with regard to the RPD. Only at the Machine Gun Nest! A smaller, shorter, but still just as popular machine gun we have available for rent is the Uzi, which comes from a family of Israeli open-bolt style guns. The Uzi was one of the first weapons to use a telescoping bolt design, which means the magazine is housed right in the pistol grip. If you’ve ever wanted to fire an Uzi, the official weapon of the mob (if old movies and TV are to be believed), then come to the Machine Gun Nest. If you have more of an affinity for an American-made machine gun, then the Remington ACR is the weapon for you. Developed originally for the modern armed forces, this fully automatic rifle has the capability to use multiple calibers, from 5.56mm to 6.8mm. Pricing on the Remington ACR runs from $100 for the rental, plus $15 per magazine. Many have said that firing a machine gun at our indoor shooting range was a once-in-a-lifetime experience. Our range features safety officers on stand by at all time, as well as certified instructors who can help walk you through the do’s and don’ts of shooting a machine gun. 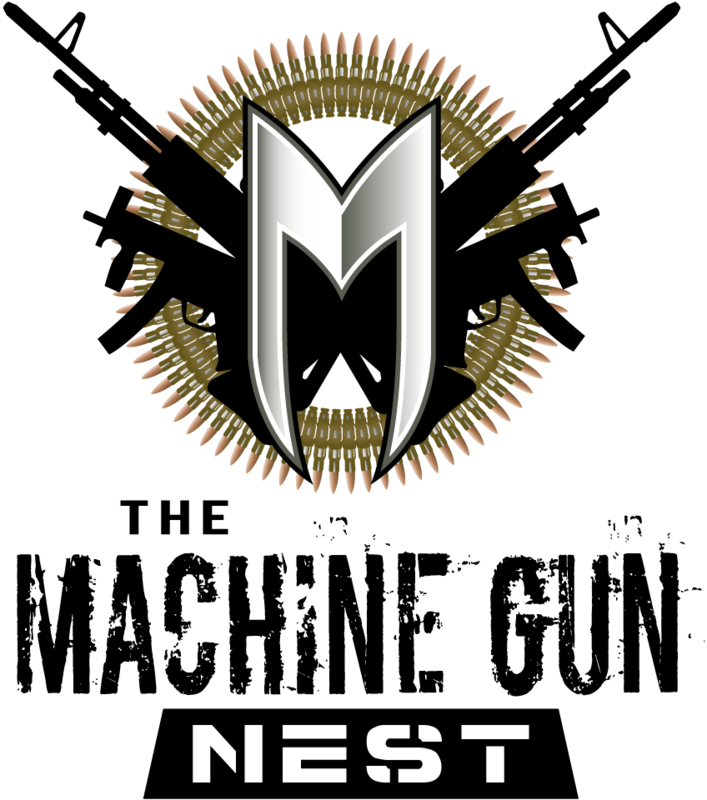 Swing by The Machine Gun Nest in Frederick today to get your hands on this unique experience.